Quartz : The Quartz is an important national centre for contemporary performing arts and has one of the highest attendance rates of any French theatre. Situated in the centre of town, it offers both experimental and traditional choreography, music and theatre . Carène :  A  modern complex with high quality facilities dedicated to all styles of contemporary music, the Carene organises between 70 and 90 concerts a year from local musicians to to wellknown artists on national or international tours. L'Alizé : A local concert hall and theatre in Guipavas which hosts local events aswell as shows by international names. 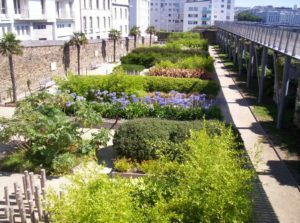 Espace Vauban : A legendary concert hall in the centre of Brest. 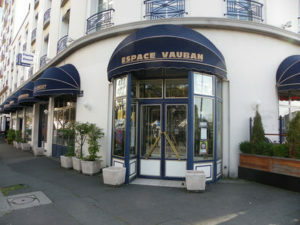 The Vauban is also a hotel, a restaurant, brasserie and bar. Mac Orlan : Previously a cinema, the Mac Orlan in Brest has been completely renovated to be able to hold multi-disciplinary events including dance, theatre and concerts. The Mac Orlan theatre enables local dance and theatre companies to perform on stage. Cinema Le Multiplexe :  A recently built complex in the town centre, offering all types of films in large modern cinemas. Cinema Les Studios : This cinema shows a large choice of arthouse and experimental cinema by well known and less well known names. The films, which come from all over the world, are always shown in original version with subtitles as a mark of respect for the film and to have the pleasure of hearing the real voices of the actors. Cinema Le Celtic : This cinema in Rue Jean Jaurès à Brest offers all types of films for the general public. Musée des Beaux Arts:  This art gallery is mainly dedicated to the fine arts and has an original collection of 10,000 works of art many of which have an association with the maritime heritage of the  town. Musée de la Marine: This museum is situated in Brest castle and houses a collection which testifies to the importance of the French navy and the naval shipyards in Brest. Visitors can discover works of art of naval decoration,  exhibitions of the Lapérouse expedition, the life of convicts or of the emblematic warships of the French navy today.The visit offers a voyage through 17 centuries of history from the Gallo-Roman foundations of the castle to the Vauban fortifications, via curtain walls, bastion and ramparts to the stunning view over Brest and the Rade of today. An audioguide is available in French, English, Spanish, Italian and German. Musée de la Fraise: The  Museum of the Strawberry and Local History is a museum which is run by a local association and was set up in 1980 by the association the « Amis du Patrimoine de Plougastel ». This association was the idea of a group of local-history enthusiasts who succeeded in uniting a large number of inhabitants of the Plougastel peninsula. The heritage of Plougastel is presented through the costumes, furniture, architecture and agriculture with the place of honour given to the strawberry which is inseperable from the region of Plougastel. Fort Montbarey, Mémorial du Finistère:  A Memorial - Museum of the second World War situated in a fort constructed in 1777 during the reign of Louis XVI and which houses exhibitions of photos, films and vehicles from WW2  including a deportation wagon. It is in memory of the people of Finisterre who died for their country. Le Brestoâ : The company offers boat trips around  the Bay of Brest. Several different cruises are possible to enable you to discover Brest and it's surroundings from the sea. 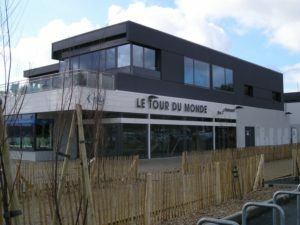 Le Tour du Monde : Created in 1993  by the yatchsman Olivier de Kersauson and his crew, the bar le bar le tour du monde has superb views over the marina of Moulin Blanc. Originally it served as the headquarters for many of the local sailors and today it still has the same warm, relaxed atmosphere. La Petite Poésie : A small bar restaurant unusually decorated and ideally  situated in the centre of Brest for a pleasant break on the terrace with a drink or for a good meal. 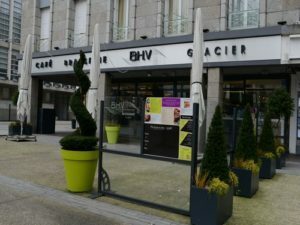 Le BHV : A well known town centre establishment which serves all day making it an ideal place for a drink, a snack or a meal with colleagues, friends, or family. La Base : This industrial-style bar restaurant on the docks has  views over the castle marina. A good place to have a drink with friends or eat some of their famous meat or fish kebabs. 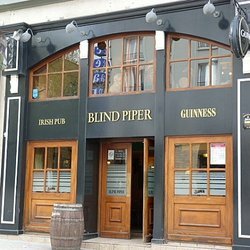 Blind Piper : This town centre pub has an unusual decor! The Tara Inn : The Tara Inn is a real Irish pub situated on the docks. Whether you decide to sit  inside the pub or outside on the terrace the atmosphere is warm and friendly. Le Jardin des Explorateurs : The garden of the explorers has existed in Brest since 1694. It is a botanic garden overlooked by a walkway from which the visitor can admire the exotic plants. The explorers and botanists who left from the port of Brest returned with all sorts of plants from all over the world. 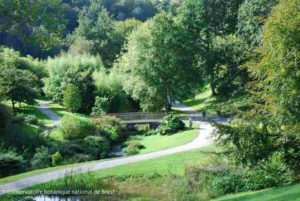 The Botanic Garden : The Botanic garden of Brest was created in 1975 and was the world's first botanic garden dedicated to the preservation of endangered  species of plants. It has a worldwide reputation  for conservation aswell as being a popular local attraction.